Over a year ago, I was organizing my clothes when I noticed a very striking pattern: scattered on the floor were the bold and bright-colored heap of clothes I used to wear. Meanwhile, the relatively new clothes hanging in my closet were mostly black tops and denim jeans that would make Steve Jobs proud. I like to think this style shift represented my subconscious descent into cynicism, but I digress. 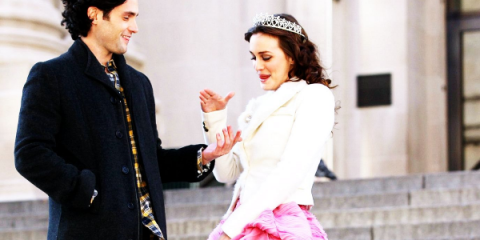 Your personal style may provide a subconscious and nonverbal way of showing your personality. The term “dress to impress” exists because what you wear can actually affect a person’s first impression of you. 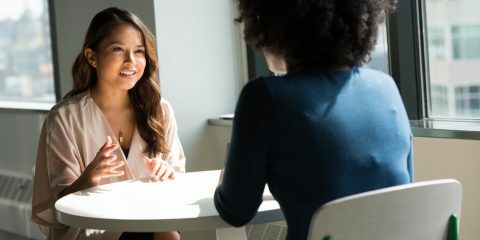 It’s easy to translate your style into everyday clothes, but when it comes to the office setting, there may be certain restrictions that make it hard to dress the way you want. But for the curvy women on the go, dressing to impress in the office does not have to be difficult. You can wear what you want and pick pieces that highlight your curves while still looking like a strong modern woman in the workforce. 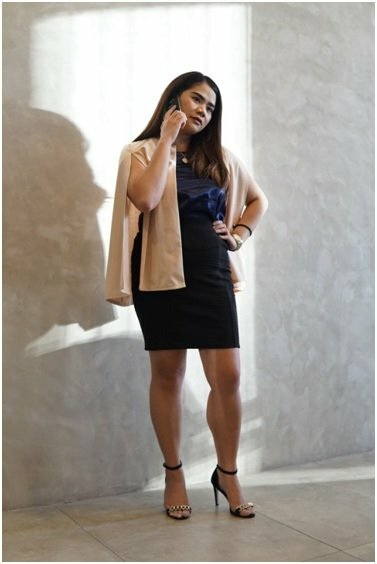 For this article, I’ve asked some of my co-workers to share their corporate looks. Karess’ black dress gets a shot of color with a floral blazer accessorized with beige heels and a pearl necklace. Her dress emphasizes her waist while the flowing skirt provides movement. This is honestly my favorite outfit featured because of how it mixes what’s seen as feminine –dresses, florals, pearls, and wedges – and turned an outfit into a strong and professional woman can wear. 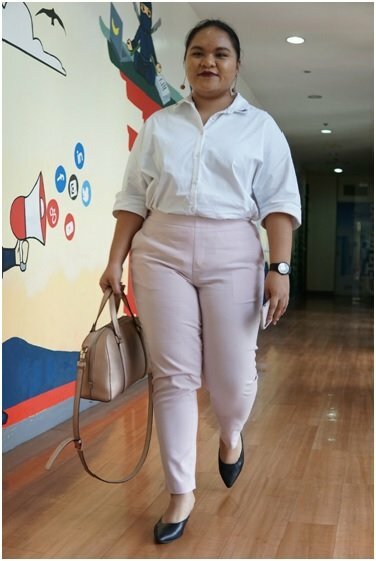 In an age where women in the workplace and the academe are still judged by what they wear more often compared to men, here’s an outfit that says, “Yes, I am a woman in the workplace. 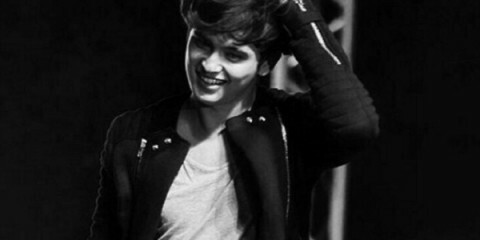 And yes, you will take me seriously”. Most of the time, you’ll find Ruth in the office wearing black outfits, which are appropriate in a casual or corporate setting. Today, she’s wearing a floral knee-length dress paired with a dark gray jacket and black heels. It’s a stylish outfit for women who like to wear dark colors but want to be stylish and comfortable in their clothes while working. 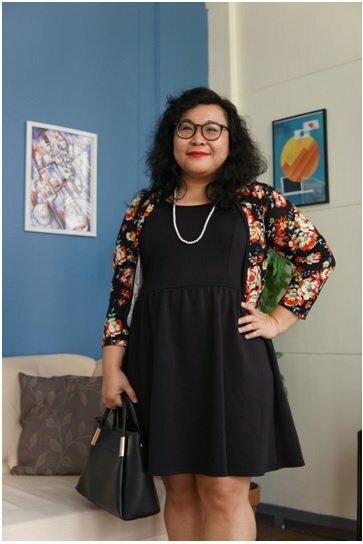 When asked about her style, Ruth says she likes to wear dresses with certain features: knee-length hems with ¾ sleeves, which lengthens her.She feels comfortable in her clothes with breathable and stretchable fabric, a must for plus-sized Filipinas who want to look good in our temperate climate. For years, my style has always been toward dark, one-colored pieces. For this outfit, I’m wearing a simple blue shift dress paired with a black blazer, stilettos, shades, and, to offset the simple attire, oversized earrings. And no matter how formal my attire is, I always have my favorite hair tie (and my favorite, I mean the one that isn’t currently lost) on my wrist in case I have to tie my hair up. It’s been almost a decade since Michelle Obama caused an uproar for going sleeveless in her first official photo. 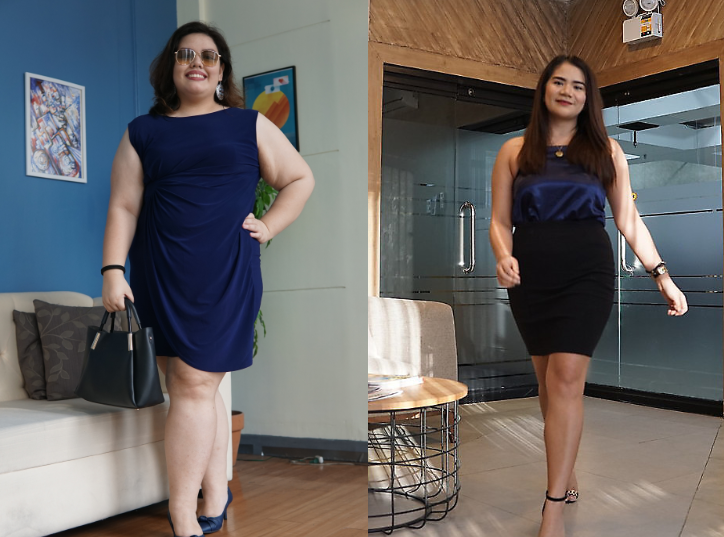 I’ve always had a love-hate relationship with outfits that showed my arms off, but I think that if women feel confident to bare their arms in the office, why not? To channel Nadine Lustre, come on guys: it’s 2018! Just remember to bring a blazer or jacket if your office is really cold. Karol looks soft and feminine with a white buttoned-down blouse, baby pink slacks, and matching pink earrings. These are contrasted by her black watch and heels. It’s a simple but flattering look, one that’s comfortable to pull off throughout the day. Back in the early 1900’s, it was a huge scandal for a woman to be wearing a pair of trousers in public. While it’s no longer considered a daring and androgynous statement, a woman wearing slacks may be considered a symbol of empowerment. That, tied in with Karol’s baby pink slacks, can make her look like a strong everyday woman. 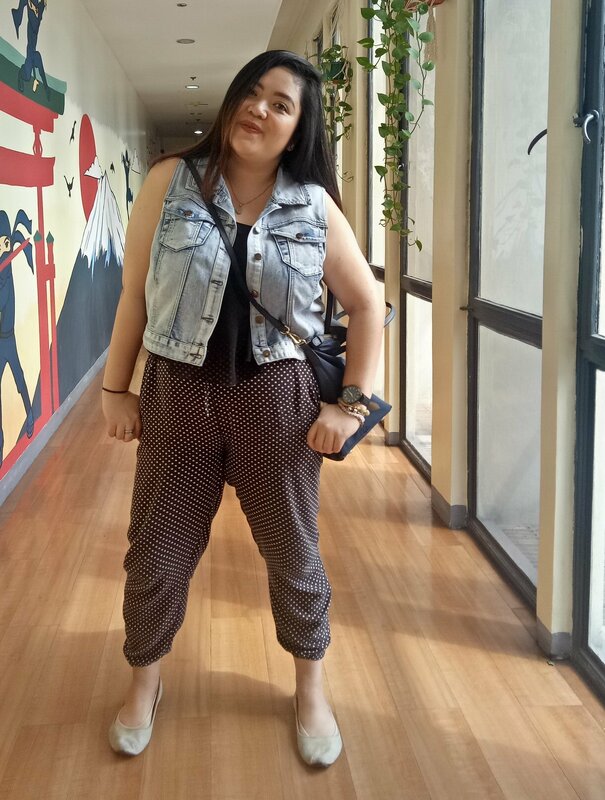 If your company doesn’t follow a corporate dress code, take a page out of Sam’s casual office outfit: a denim vest over a black blouse paired with printed pants and light brown flats. It’s much easier to dress to your style in a casual office setting, but don’t be tempted to show up in shorts and last night’s t-shirt if you’re dressing for comfort. Sam looks comfortable but still stylish, ready to take on her tasks for the day. Mai is one of our more stylish co-workers who can pull off a pair of high heels without complaining. In this outfit, she looks confident and fierce in her blue blouse, black pencil skirt, and stilettos. 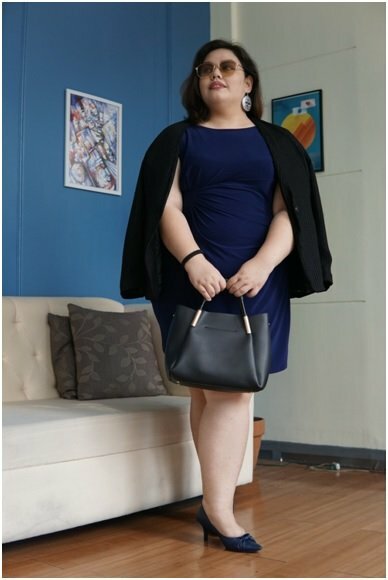 Her body-hugging outfit flaunts her curves, while the cape adds a dramatic flair (and has some use in a cold office like ours). Wearing your style is one thing, but shopping for plus-sized clothes is another. It might be hard to find a piece you like, let alone a style that fits you, but consider shopping in places other than the traditional department store malls. With patience and a good eye for deals and steals, you can create the right business attire without having to spend a lot on fashion. Your work outfit should look good and reflect your style. Whatever your office’s dress code is, wear an outfit that reflects you. 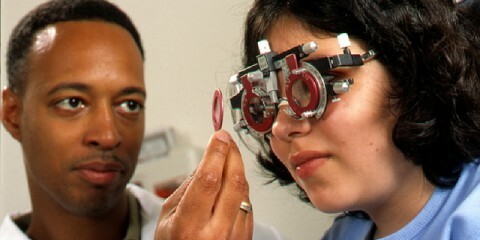 It’s a choice that can help you look good and feel confident throughout the workday.